Effective antimalarial drugs are paramount to controlling malaria infections and transmission. Plant-derived compounds to combat the parasitic disease have been integral therapies for centuries, such as quinine, isolated from the bark of the Cinchona plant, to artemisinin, extracted from sweet wormwood (Artemisia annua). In fact, the Chinese scientist Youyou Tu was awarded the 2015 Nobel Prize in Physiology or Medicine for the discovery of artemisinin and its application in therapies against malaria. While the benefits of artemisinin for other diseases such as cancer are growing, the continued usage of the compound is becoming a problem—the low content produced by the plant and the high-cost of its chemical synthesis result in a scarce and expensive drug. Now, an international research team led by investigators at the Centre for Research in Agricultural Genomics (CRAG) in Barcelona and Sequentia Biotech has been able to obtain, through genetic engineering, A. annua plants that produce twice as much artemisinin. The findings from this study—published recently in The Plant Journal in an article entitled “AaMYB1 and Its Orthologue AtMYB61 Affect Terpene Metabolism and Trichome Development in Artemisia annua and Arabidopsis thaliana”—identified a gene involved in the formation of microscopic hairs on the plant called trichomes and in the synthesis of terpenes, such as artemisinin. 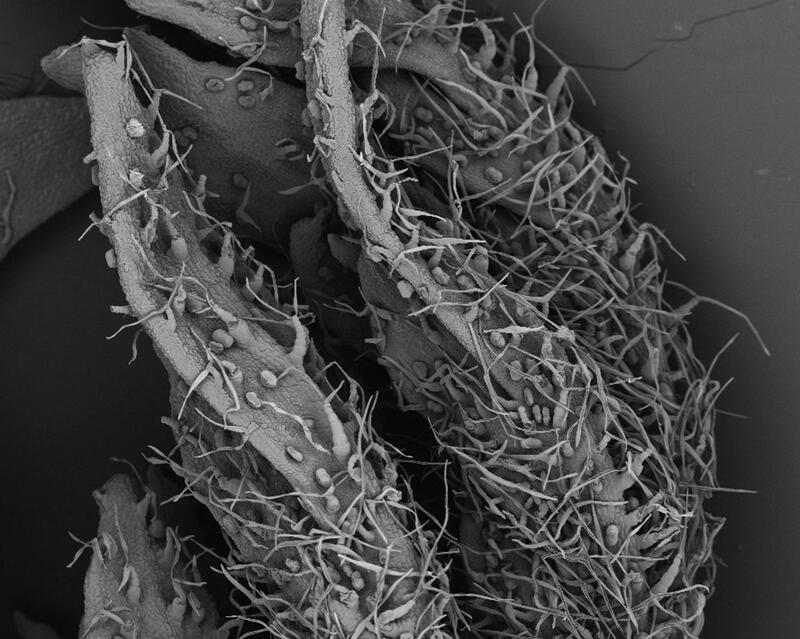 Lead author on the study Luis Matías-Hernández, Ph.D., began to study the formation of trichomes in the model plant Arabidopsis thaliana when he was a postdoctoral researcher at the CRAG group led by Dr. Pelaz. The knowledge gained in that endeavor caused Dr. Hernandez to hypothesize that the formation of trichomes could be manipulated in plants with industrial applications. For the past several years, his research has been aimed at obtaining Artemisia plants that produce copious amounts of artemisinin—which he focuses on as a principal investigator at Sequentia Biotech. Along with collaborators at the Linnaeus University in Sweden, the researchers were able to identify the gene AaMYB1 among the array of genes expressed in Artemisia trichomes. 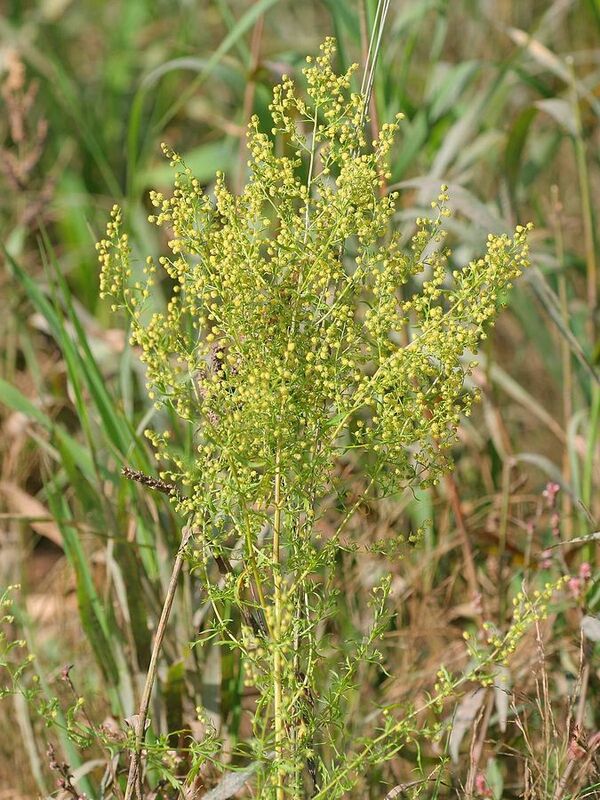 At CRAG, the researchers designed transgenic plants that overexpressed this gene and found that they accumulated larger doses of artemisinin than non-genetically modified plants. Additionally, to confirm the role of the AaMYB1 gene in the formation of plant trichomes, the researchers searched for orthologs in the model plant A. thaliana and found the gene AtMYB61. When this gene was overexpressed in the model plant, it also produced a higher amount of trichomes on its leaves, demonstrating that these genes play a key role in the formation of trichomes in evolutionarily distant species. “In addition to its role in Artemisia, the identification of this gene can also be useful for other plants whose trichomes produce substances of interest,” Dr. Pelaz concluded.